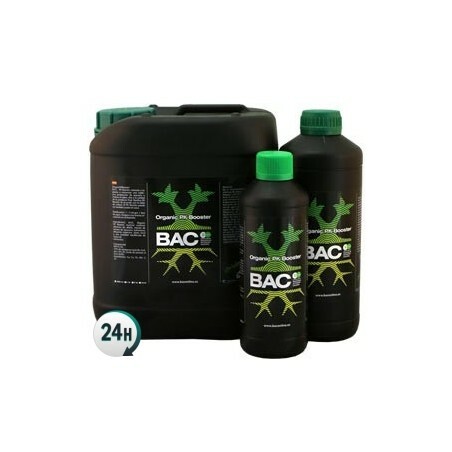 Organic PK Booster by BAC is used to give your plants an extra push towards the end of the flowering period, fattening their buds incredibly with its natural ingredients. Organic PK Booster by BAC is a fertilizer used during your cannabis plants’ fattening period, when the buds have already formed. It’s used alongside a nutrient base during flowering period, and then it’s swapped out for a flowering stimulant. 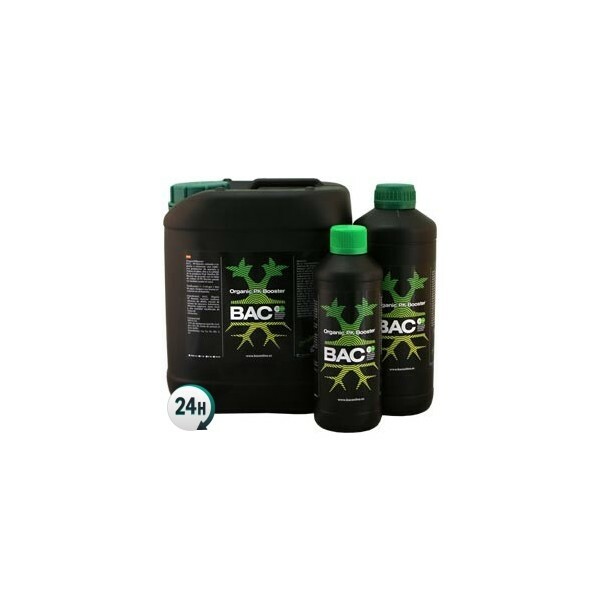 You can combine it with products from other branches, although to make the most out of it we recommend using it alongside other BAC products. In order to avoid over-fertilizing your plants you’ll need to measure the EC in your water first; add Organic PK and your usual additives, and then measure the EC and add your base fertilizer until the levels look right. With Organic PK Booster by BAC you can give your plants extra phosphorus and potassium towards the end of the flowering period. Your plants will end up looking and tasting better thanks to this organic product. From 1 to 3ml of water, starting from the 4th flowering week onwards and increasing the dosage to 3ml max. Stop using 10 days before harvesting. A balanced amount of trace elements.